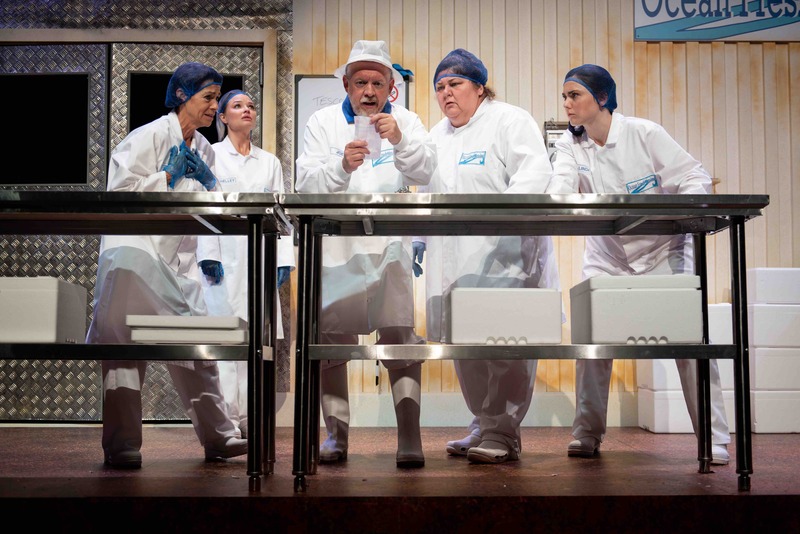 With big laughs and even bigger hats, Wolverhampton Grand’s summer show Ladies’ Day is a comedy about four ladies that work in a fish factory that have an unforgettable day at the races. Amanda Whittington’s original play is set in Hull, but this production is taken right into the heart of Wolverhampton. Originally written in 2005, it is taken right into present day and the witty book is bursting with Black Country gags. The ladies have a very dull, mundane life in the fish factory and they relish in having a big day out, which turns out to change their lives forever. The four women Jan, Pearl, Shelley and Linda are all delighted to have the day at the races, believing they’ll mingle with the stars and win big. Linda, who is obsessed with singer Tony Christie places the team’s bets on horses relating to Tony Christie’s hit songs. The legendary singer’s songs are weaved into the production, and this is the first production Tony Christie himself actually stars in the play to sing live. Coming into the action throughout the play to sing his classic hits, it’s a surreal yet funny moment in the that inevitably cause a few sniggers of laughter in the audience. Ultimately it is a story of friendship and hope, as the four ladies are pining for an exciting life. Emma Rigby takes on the role of ditzy Shelley who longs to hit the big time and become famous, desperate for any opportunity to escape her normal life. 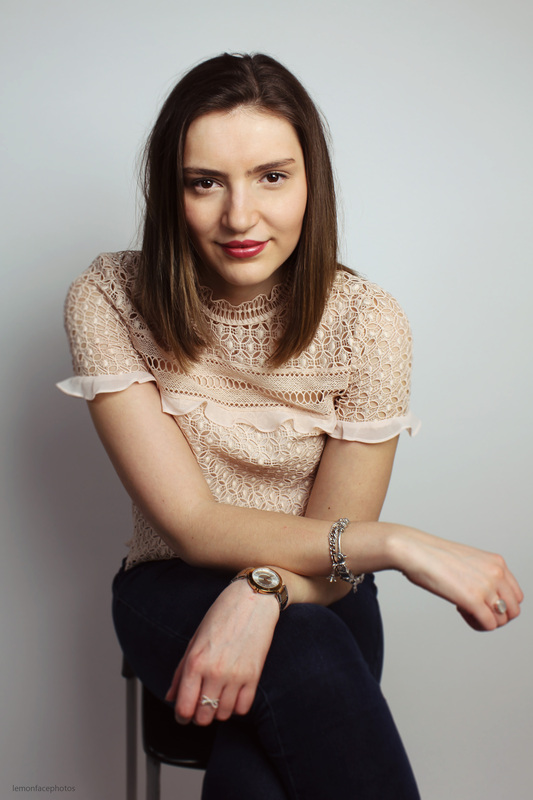 Rigby’s over the top characterisation brings a nice youthful energy to the group of ladies, however, her Wolverhampton accent slightly verges into South African, but this just adds to the comedy of her role. Deena Payne gives an excellent performance as Pearl, a soft older woman who is ready to retire. Just as she feels she has it all sorted, her life flips upside down and she has a tough decision to make. Pearl is warm and motherly to the other ladies as the leader of the pack and Payne’s performance is truly authentic. Similarly, Rósín O’Neill gives an endearing performance as the reserved young Linda who is controlled by her overbearing mother. In the second act, we really discover the sweet nature of Linda as her character is delved into. Cheryl Fergison steals the show with her tremendous performance as Jan, the single mother who works ridiculously hard to ensure her daughter has a better future. Absolutely nailing the Black Country accent, she brings huge amounts of humour and character to the role. With a big heart, Jan is both caring, kind and entirely genuine. Fergison has a natural stage presence and remarkable comedy timing, a perfect fit for this production. The four women have brilliant chemistry, providing a convincing performance as a group of four work colleagues that have been there for each other throughout their lives. Sean McKenzie does a superb job taking on the roles of all the men in the production and his adaptability to slip into the different characters with ease is excellent. As a community production, a group of local amateur actors take on the ensemble roles and whilst it could be slicker, there is a real sense of local pride on stage. It feels a little lost on a huge stage and the director needs to tighten it up, but it’s a delightfully amusing piece of theatre. Ladies’ Day is an entertaining production that captures the heart of Wolverhampton, a truly fun night at the theatre that guarantees lots of laughs. Ladies’ Day is on at the Wolverhampton Grand Theatre until the 28th of July, tickets can be found online here.